Raaga.com: Much ado about Superstar Rajinikanth’s purposed film TIPU SULTAN! Much ado about Superstar Rajinikanth’s purposed film TIPU SULTAN! Superstar Rajinikanth, who has been hogging limelight in the past few weeks due to his upcoming movie KABALI and its ‘First Look’ has suddenly found himself in soup with Hindu outfits allegedly threatening him not to give his consent for the film based on heroic historical Mysore King Tipu Sultan, proposed by Kannada producer Ashok Kheny. Initially the threat was issued by a little known Hindu fringe outfit Hindu Munnani, who tried to seek cheap publicity from the news but what is regrettable is that now the ‘unholy’ protest has been joined by many fanatical BJP leaders, who have come out openly and termed the nationalist Tipu Sultan as anti Hindu thus spreading the venom of hatred within the secular nation. Prominent among those who are protesting against the movie include BJP national secretary H Raja, who has claimed Tipu Sultan was a ‘murderer’. 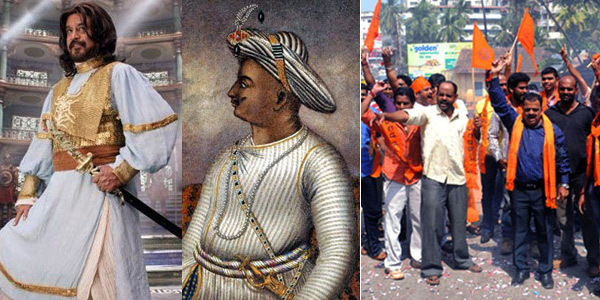 Another Senior BJP leader L. Ganesan has called Tipu Sultan an aggressor, who committed maximum atrocities against Hindus. Senthil Kumar, state secretary of the Hindu Makkal Katchi has defamed the 18th century ruler of the Kingdom of Mysore, as a robber, who robbed this country! Interesting while the Hindu outfits are banging their drums and tarnishing the image of India’s great revolutionary leader, sources close to Rajinikanth have revealed that much ado is being made about the film. “Rajini Sir was interested in the story. He said it was a good idea and asked me to go ahead with the story and the script though he did not gave his confirmation,” he quipped. Thus one wonders, while the story of the film is not ready and most importantly Rajinikanth has not given his confirmation for the film then why is so much ado being made of the film?